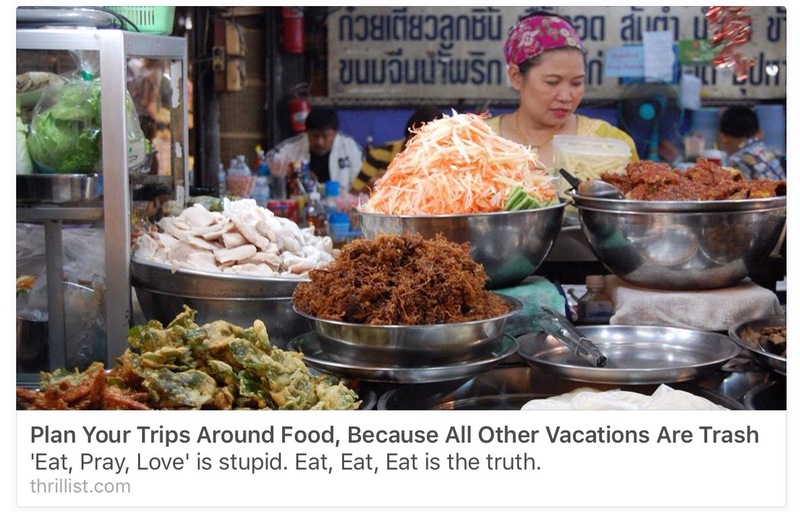 I was scrolling through my Facebook feed when a headline caught my eye… as most travel-related headlines are wont to do. But it was the OG (open graph) description beneath the headline/OG title that brought a huge smile to this digital strategist’s face. ‘Eat, Play, Love’ is stupid. Eat, Eat, Eat is the truth. …is clever, provocative and humorous—(one of the secrets to going viral). Yet what makes it so awesome is that it is original. The copy is not lifted from the article itself. Rather, it is standalone copy specifically crafted to serve as an OG tag, in so that the article would more engaging and enticing to a user on Facebook, Twitter, et. al. And that, my friends, is the way OG tags should be. Bravo to the Thrillist producer or SEO guru behind this act of Open Graph excellence!